Stan's Donuts empire reached Lake View last month. 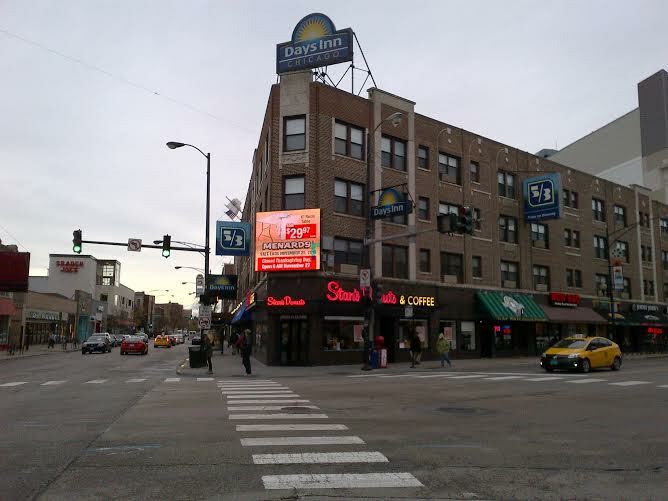 The outpost takes over the former Jamba Juice space at busy Diversey, Clark and Broadway intersection. Bob passed by today... the first time we've seen it open. The store fills one of several vacancies on the commercial corner experiencing a bit of turn-over. Diversey up and down otherwise is experiencing high occupancy and some big developments are on the way.